Energy is a hot commodity during peak usage hours. Busy daytime hours, such as weekday working hours, are more likely to draw heavily on the power grid than down times—say, two in the morning on a Tuesday. By minimizing lighting and energy use during these heavy draw times, businesses can secure significant savings. This technique is known as demand response. Demand response is an energy conservation strategy that involves reducing lighting loads during peak energy usage times. These high-demand times of day are communicated by the utility company to a facility through the use of building automation systems (BAS) or building management systems (BMS). When a system is notified that it’s entering a peak usage time, the system automatically reduces electrical loads by a preprogrammed amount. 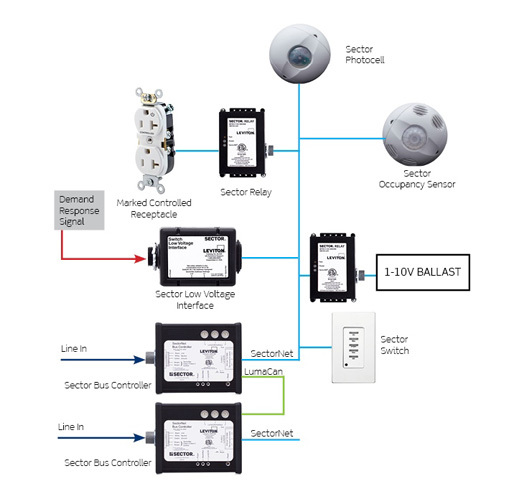 With a lighting control system that integrates to BAS/BMS systems to receive and respond to demand response signals, buildings can see dramatic reductions in energy costs. In some cases, it's also mandatory to meeting code compliance requirements. California Title 24 2013 has quickly become a trademark example of intelligent and effective code compliance that is inspiring other states and municipalities to follow suit. Title 24 shares many of the benchmarks set by national standards such as ASHRAE Standard 90.1 2010, but it exceeds these requirements in several areas. 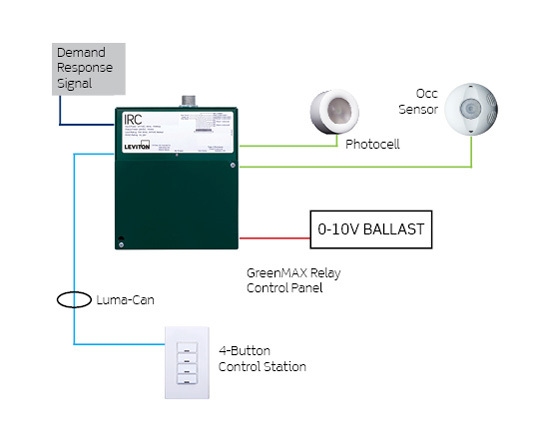 One notable example is the Demand Response requirement, which mandates automatic demand response capabilities for lighting systems in all commercial buildings larger than 10,000 square feet, regardless of space type. While demand response is currently primarily required in California, its effectiveness at lowering energy usage is expected to lead to wider adoption in the near future. 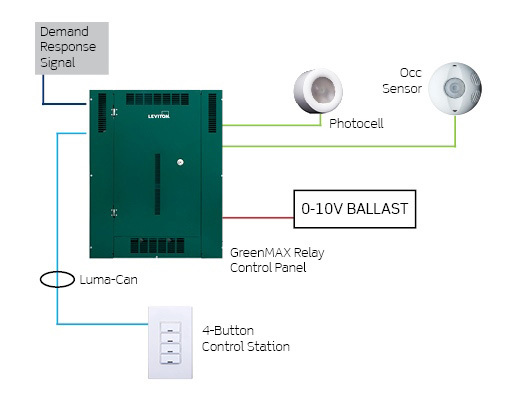 Whether meeting demand response requirements for a small standalone commercial space or an entire campus of buildings, Leviton has a smart lighting control solution.